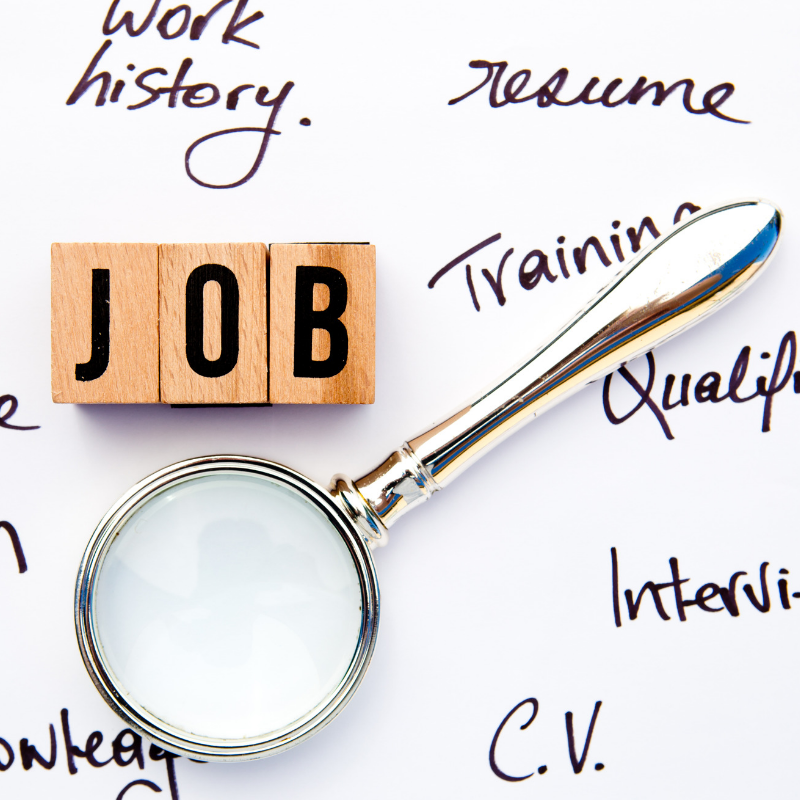 What is the biggest question on your mind regarding your job search? 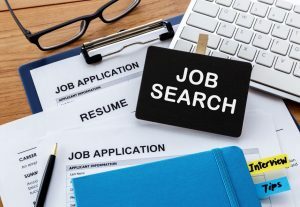 As a job seeker, you may be wondering why you are not getting any job offers and what you can do to solve this unending dilemma. How long have you been trying to get a new job? You know your skills. You know you deserve better. But you are unable to get the right job. A job that gives you joy. With the right working environment and compensation level. Is this the situation you are in? Maybe you don’t even know what job is best for you. A confused mind can hardly make good decisions. If you don’t know your skills, how can you expect to convey them on your CV, job application, or in interviews? The result is job search that doesn’t reap any results. Do you feel your skills are wasted? Do you wonder if you might never the get the right job? You don’t have to suffer alone. There is help available. Our experts demystify the process. Through profile optimization, you get help identifying the right career path for you based on your skills, experience, and interests. Through Custom CV Writing, your skills are conveyed so you can get the job you want. When you convey your skills correctly and know what jobs are right for you, you can then get the right opportunities easily. Why your resumé (CV) is important. 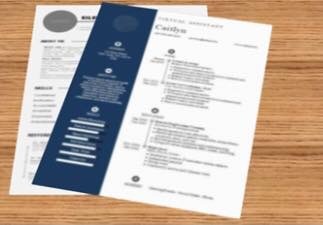 The single thing you need to find a job is your resumé (along with your cover letter), because these are presented to recruiters/employers first. The resumé is the one thing that causes most job seekers to fail. Oftentimes, it is the only or main communication with hiring managers. There is no shortage of jobs. Many people still get jobs. Top paying ones. At reputed organizations. It is your job to be of these people rather than of those who can’t find jobs. You can do this with your resumé. Whether you go the recruiter route, or apply directly to employers, you need to convey your skills. If you’re unable to do that, you will not be able to find the job suitable for you. A recruiter will not drudge through your career history to identify the right path for you. Recruiters’ job is to fit the right candidate into a job. It’s your job to show them you are the right candidate. If you cannot convey that, you have lost the job. Going to a recruiter with “I am applying for any jobs in X industry,” will not work. If you don’t know which job you are applying for, you will not find it. a- know which job is right for you. b- convey your skills accurately both on your resumé and in interviews. Profile Optimization helps with both. 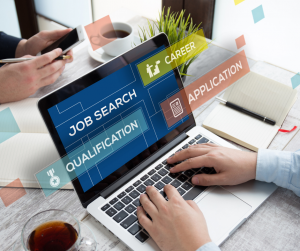 We help you know the right career path for you and how you qualify, optimizing your profile and giving you a resumé based on your optimized profile. If on the the other hand, you already know which job you want, our Custom CV Writing tailors your CV to the job of your choice and conveys your skills so you can show you are the right candidate for the job. When you convey your skills correctly; have the necessary skills, experience, and qualifications; and apply for the right jobs, you increase your chances of getting the job you deserve to almost 100%. 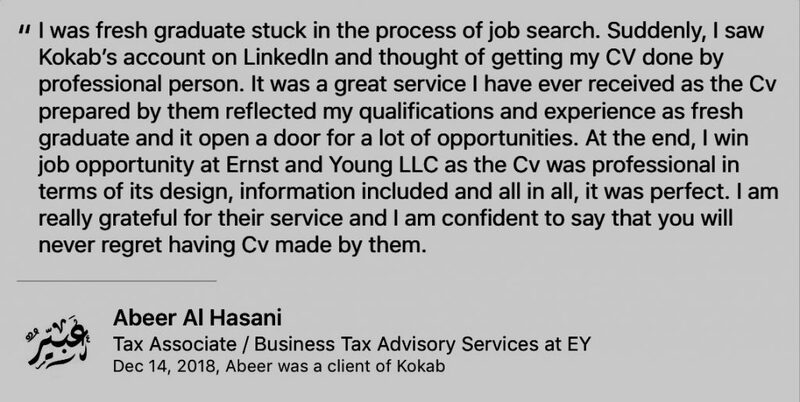 With our assistance, even our fresh graduate client was able to get a high paying, permanent job at Ernst & Young, a reputed multinational corporation and one of the Big Four Accounting Firms. Then what can we do for you with your skills and experience?